T has been a decade and a half now since the year Lost in Translation, the romantic comedy-drama starring Bill Murray and Scarlett Johansson, first hit theaters. More than any other film, this is the one that foreigners coming to Tokyo for the first time seem to most associate with the city. Inside the New York Bar on the 52nd floor of Shinjuku Park Tower. 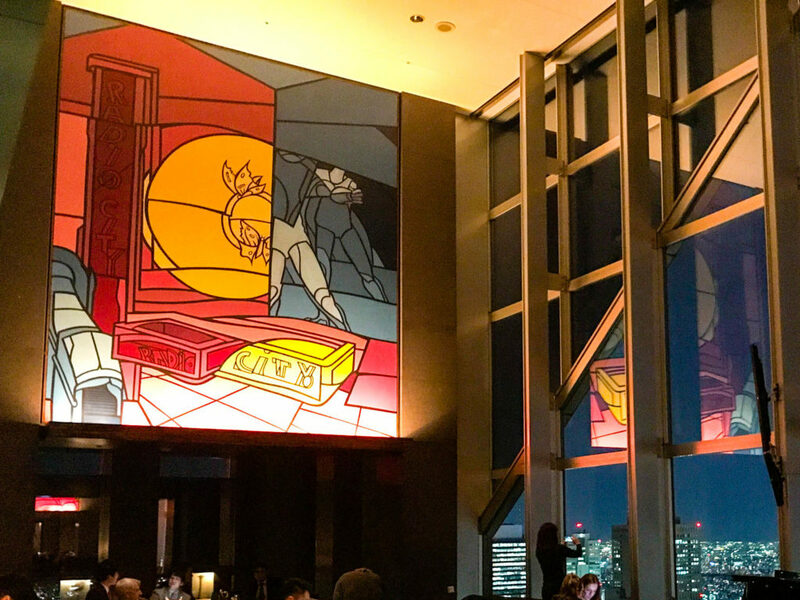 Situated high atop the 52-story Shinjuku Park Tower, it’s also a luxury venue where there’s a ¥2,500 cover charge after the jazz music starts at 8 p.m. (7 p.m. on Sundays.) Beer is ¥1,300 and the cheapest glass of wine is ¥2,000. Allows smoking and it is usually full of foreigners. The New York Grill during one of its Sunday brunches. 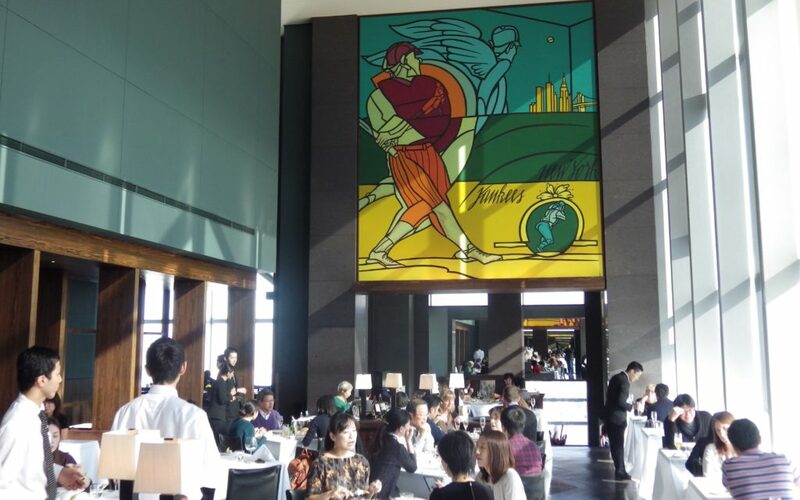 You can still admire the décor of stylish murals along with the daytime view of Tokyo, but now the long counter where Bob saddled up on a chair with his Suntory whisky gets turned into an appetizer buffet. Shinjuku Park Tower as seen from the South Observatory of the Tokyo Metropolitan Government Building at night. 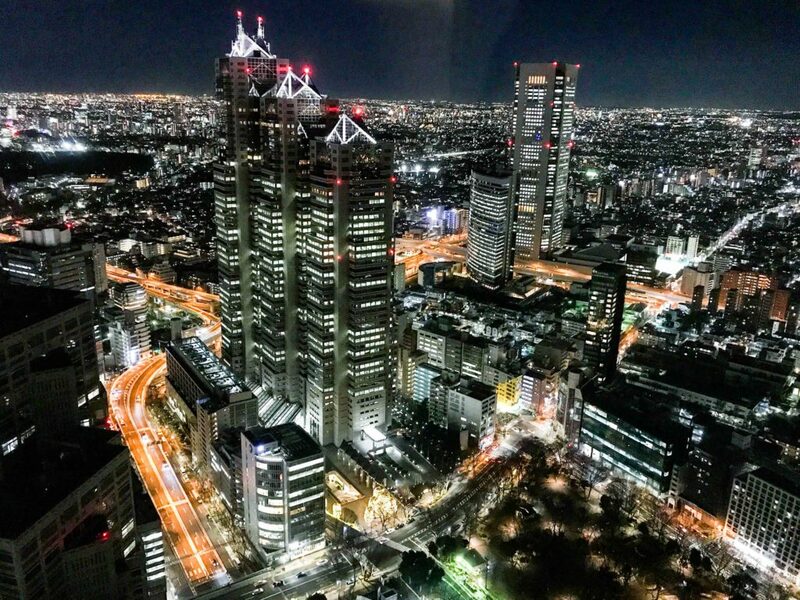 Go swimming in the hotel pool or curl up on a window ledge and look out over the city like Charlotte in her room, you can book a stay at the Park Hyatt Tokyo, which takes up the top 14 floors of the Shinjuku Park Tower. This is a 5-star luxury hotel; room rates vary but are upwards of ¥50,000 per night. 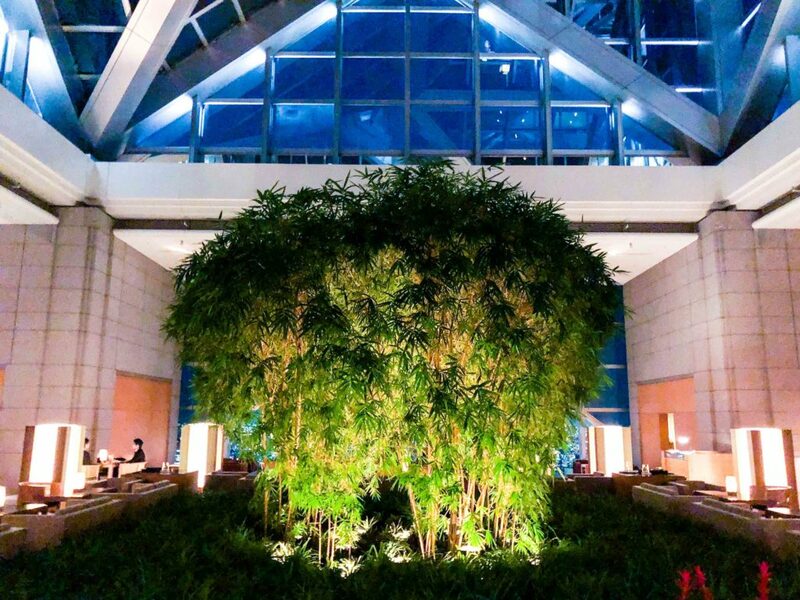 The bamboo centerpiece near the elevators on the 41st floor of the Park Hyatt Tokyo where the Peak Bar and Lounge is located. 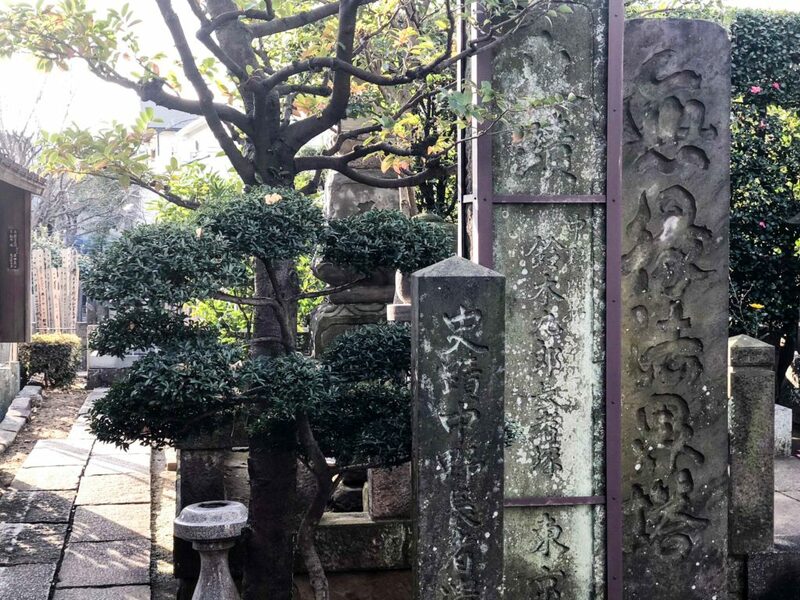 The exact spot at Joganji Temple where Scarlett Johansson came walking out of the cemetery in the rain in Lost in Translation.